Sept. 11, 2016 – Cooler weather brought hot competition in Rochester, N.Y. on the second day of competition at Rochester Cyclocross. 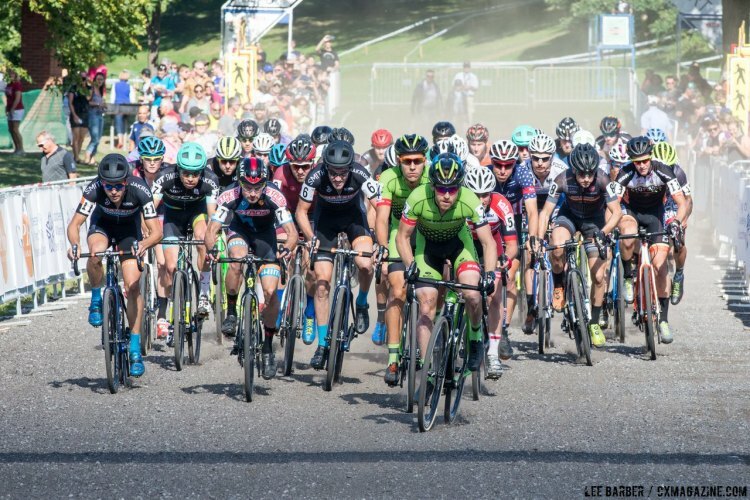 The first Category 2 events of the USA Cycling Professional Cyclocross Calendar (Pro CX) began with the Elite Women at Genesee Valley Park. 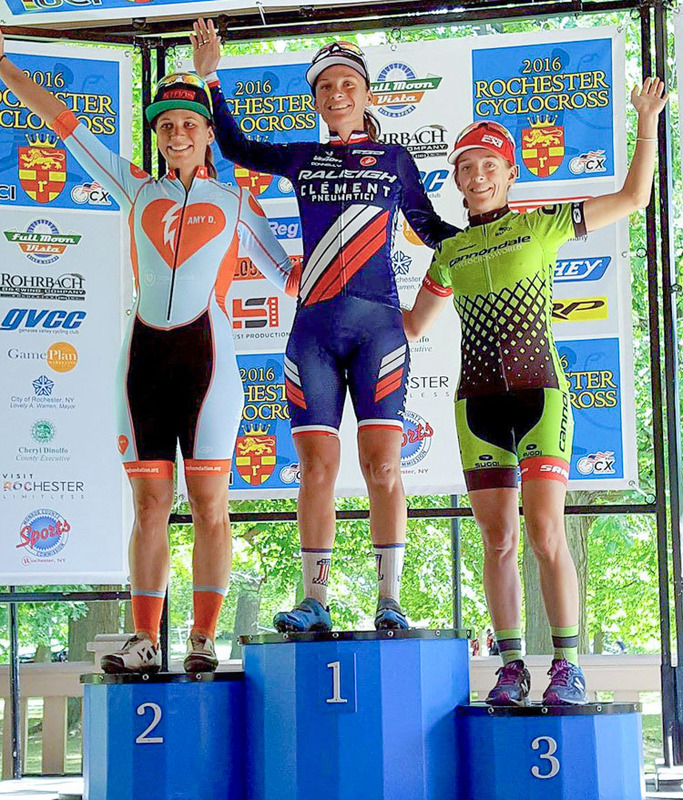 The day belonged to French rider Caroline Mani of Raleigh-Clement, who rode hard to redeem a sixth-place finish on Saturday. She won the five-lap C2 Elite Women’s race in 44:20. Despite Amanda Miller (Boulder Cycle Sport/YogaGlo) taking the holeshot and hanging tough for the first couple of laps, it was France’s Mani who made her way to the front early and never looked back. Fahringer would race to a strong second, 17 seconds behind Mani. 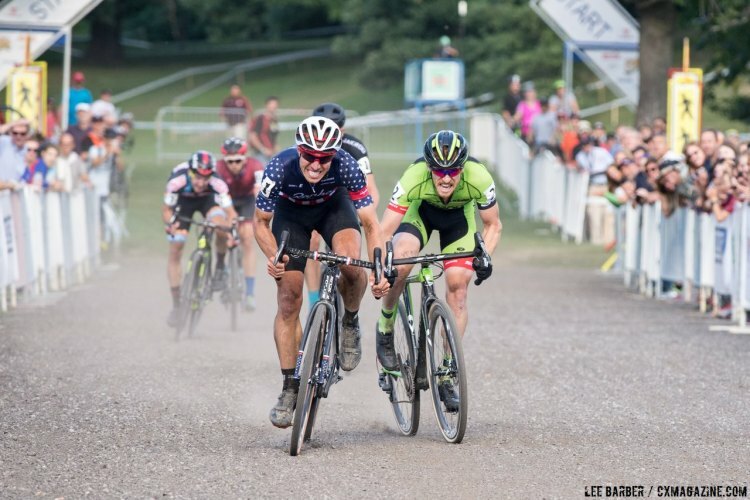 The New Hampshire rider had an impressive ride to hold off the hard-charging winner of Saturday’s C1 Elite Women’s race, Kaitie Antonneau (Cannondale pb CyclocrossWorld.com), who finished 26 seconds back and secured the third spot on the podium. “Yes, I think yesterday hurt my ego. 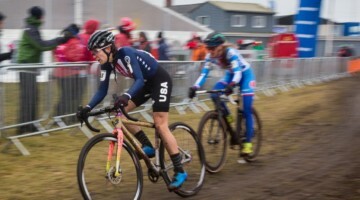 Today I used just whatever I had, physically, mentally, to jut go for it,” said Mani, last year’s World Championship silver medalist who lives in Colorado. 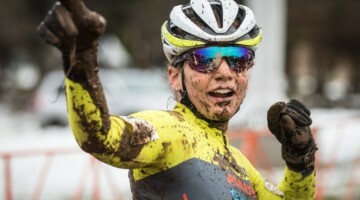 She was a double winner at the Rochester Cyclocross in 2014. 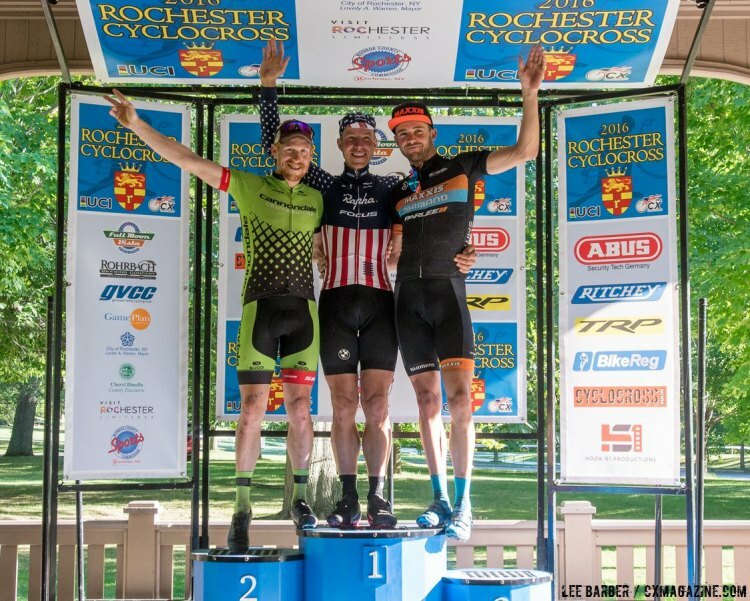 Fahringer, Mani and Antonneau (l to r) are the Rochester 2016 Day 2 podium. 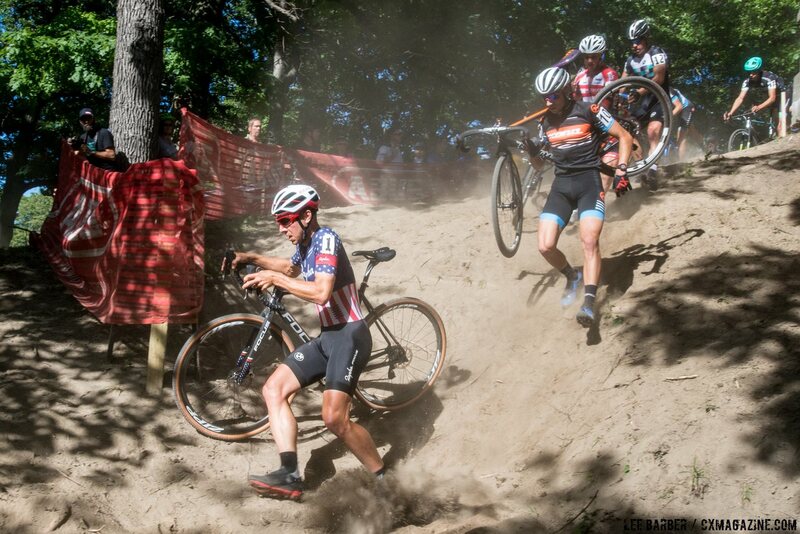 On the men’s side of Elite racing, Jeremy Powers (Aspire Racing) of Easthampton, Mass. 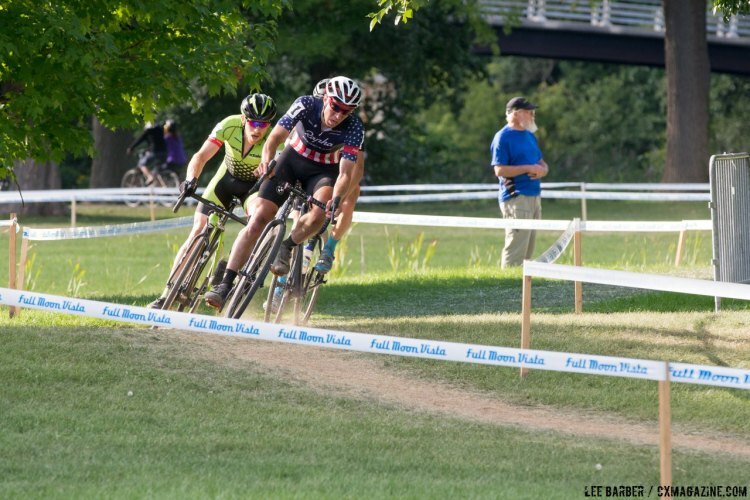 made a clean sweep of the weekend’s Pro CX races, showing he has the same form as where he left off from winning the national cyclocross title in January. He won the Elite Men’s C2 race in a time of 56:05. Stephen Hyde (Cannondale p/b Cyclocrossworld.com), also from Easthampton, placed second with the same time, followed by Danny Summerhill (Maxxis-Shimano), of Englewood, Colo., one second back in third. 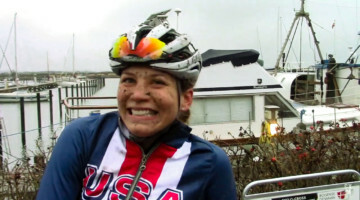 “It’s hard to believe, but it felt faster than yesterday,” said Powers. “For me, today was very much about training. I was very much focused on one-day racing for the past couple of years. I really do still need this early-season racing because I feel like I am under-raced. Today was a good opportunity to have me get out there. Curtis White, from Schenectady, N.Y., took it out fast with Hyde, but could not get away. Summerhill would not let the misfortune of flatting yesterday dampen his enthusiasm today, as he was in the mix until the end. Powers, Hyde, and Summerhill where part of the lead group of eight that would swell to as many as 14 riders, which included other heavy hitters like Tobin Ortenblad (Santa Cruz Factory Racing) and Dan Timmerman (Stan’s NoTubes Elite CX). After trading blows and setting the pace at the front, it came down to these five elite riders to sprint for the finish. Powers bested the group for a second day in a row. 2 2 HYDE Stephen Cannondale P/B Cyclocrossworld. 56:05 s.t. 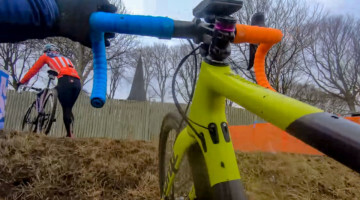 4 7 TIMMERMAN Dan Stan's NoTubes Elite CX 56:07 s.t. 5 9 ORTENBLAD Tobin Santa Cruz Factory Racing 56:08 s.t. 15 6 LIVERMON travis Maxxis-Shimano Pro Cyclocross 57:13 s.t. 16 21 HAIDET lance Raliegh Clement 57:14 s.t. 17 18 LINDINE Justin Apex / NBX / Trek 57:14 s.t. 8 4 ANTHONY Crystal maxxis-shimano pro cyclocross 45:32 s.t.